John Mayer Biography, Discography, Music News on 100 XR - The Net's #1 Rock Station!!! 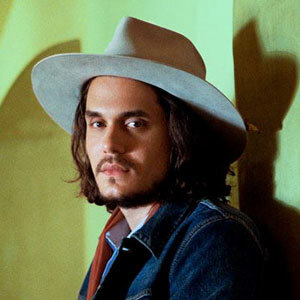 Adult Alternative Pop-Rock singer + guitarist & songwriter John Mayer was born on October 16, 1977, in Bridgeport, Connecticut USA. He started playing the guitar at the age of thirteen, subsequently he moved to Boston to attend Berkley College of Music. When was 21 years old, Mayer relocated to Atlanta where he released his debut album of acoustic tracks titled "Inside Wants Out". In early summer of 2001, the artist released "Room For Squares" which was later picked up and issued by Columbia Records; his first major-label album enjoyed a 95-week chart run, peaking at #8 on The Billboard 200 and was ultimately certified quadruple-platinum in the States. The record included "No Such Thing" and "Your Body Is A Wonderland" which both entered the top 20 of The Billboard Hot 100 and along with "Why Georgia", made an impressive impact at Adult Contemporary radio stations. 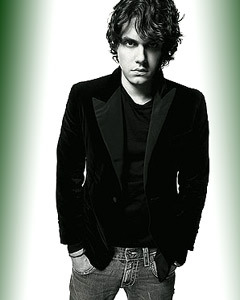 In early 2003 Mayer won Best Male Pop Vocal Performance for "Your Body Is A Wonderland" at 45th Annual Grammy Awards. Later that year he returned with "Heavier Things" which peaked at #1 on The Billboard Top 200 Albums chart and climbed into the top 3 in Canada. The inaugural single from the CD, "Bigger Than My Body", debuted at #33 on The Billboard Hot 100 and hit #4 on The Adult Top 40 chart; also the second single, "Clarity", gained great success on the Adult Contemporary charts. Even still, it was the acoustic ballad "Daughters" that gave Mayer his first #1 hit on The Adult Top 40 list, in addition this single reached #19 on The Billboard Hot 100 and was awarded two Grammies: Best Male Pop Vocal Performance and Song Of The Year. 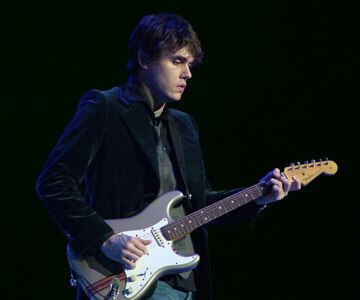 In September 2006 John Mayer released "Continuum", the CD reached #2 in U.S. with the two-million mark, making it his second consecutive double-platinum album; it also charted and peaked at the same position in Canada. The first single, "Waiting On The World To Change", almost immediately hit the top of the Adult Contemporary charts and grabbed a #14 spot on The Billboard Hot 100. At the 49th Grammy Awards, the single won him honor for Best Male Pop Vocal Performance while "Continuum" was elected Best Pop Vocal Album. Over the course of 2007, two more singles were pulled off the album. "Gravity", climbed into the top 10 of The Hot Adult Top 40 Tracks and on February 8, 2009, the live-edition of the song earned Mayer a new Grammy for Best Solo Rock Vocal Performance; that night he took home yet another trophy, Best Male Pop Vocal Performance for the song "Say" which eventually hit #12 on The Billboard Hot 100 and topped the Hot Adult Top 40 Recurrents chart. The star's fourth studio album of all-new-material, "Battle Studies", arrived in November 2009 and quickly rose to the top of The Billboard 200; the first single, "Who Says", debuted at #17 on The Billboard Hot 100 and its follow-up, "Heartbreak Warfare", made its way into the top 40 on the same chart. Two and a half years later John Mayer was back with a new single, "Shadow Days", which reached #38 on The Rock Songs chart and his highly anticipated next album, "Born And Raised", was released in May 2012. The CD shot to #1 on both U.S. and Top Canadian Albums charts. Mayer's sixth studio album, "Paradise Valley", is scheduled for release on August 20, 2013. The first single is the track "Paper Doll".